Back row: Warman (asst. trainer), Kay, Hasell, Skiller, Walker, Woolford. 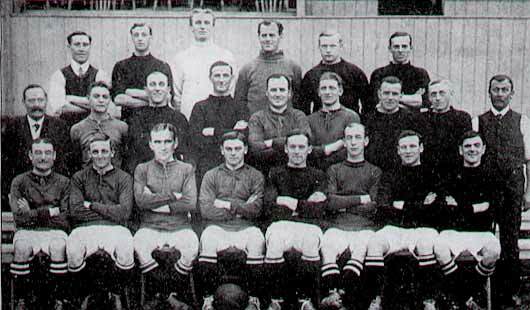 Middle row: Allen (secretary/manager), Hicks, Tout, Kennedy, Chambers, Lochhead, Silto, Handley, Wiltshire (trainer).